Triple C Charters: MARCH MADNESS!! 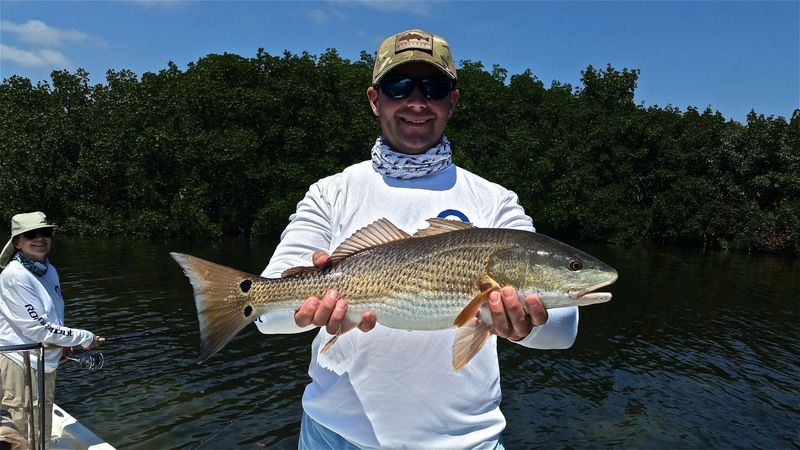 our premier gamefish such as snook, redfish and trout as well as tarpon and cobia. The snook have been on fire with hordes of juvenile snook in the 20-26" range along most mangrove shorelines. They have been crushing scaled sardines with reckless abandon. 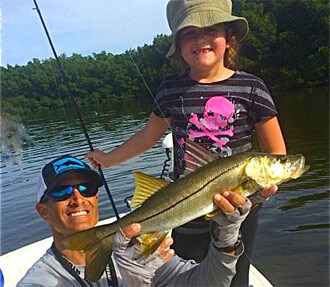 It's not uncommon to catch 30 or 40+ snook in a half day right now. There have been some nice redfish patrolling the flats on the higher tides. Patience has been the key for them. The larger schools are too often pressured by overly aggressive anglers who then wonder why they won't eat. We've had better success with the smaller groups or individual fish. As always cut bait works very well for these bloodhounds. Cut pinfish, threadfin or ladyfish have all been effective. We have managed to find some slot fish within these schools but most fish are over the 27" limit and need to be released. It's been an excellent year for the spotted seatrout in our area with a many fish over 20" and even a handful over 25. Scaled sardines or the DOA Mirrodine has been the ticket for these larger fish. The spanish mackerel have already started to show up of the edges of the shipping channel and range markers. They have been averaging 24-27" to the fork which is good sized for this early in the season and perfect for the smoker or fish dip. They also provide a drag screaming run that is music to the ears of all anglers. 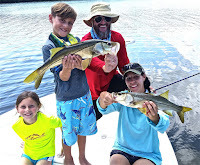 Mix in a few oversize jacks and ladyfish and you can see why the fishing is so good. Don't miss your chance to get in on the action! The fishing doesn't get much better than it is now. Tight Lines, Capt. Chris (813) 908-6222.